Cleaning carpets can be a challenge even to the most committed individual. It may be that you start with your best intentions but there are many aspects to consider. Due to the many different types of carpet and individual stains, the best way to clean it may not be so obvious. Incorrect cleaning solutions can have a few different affects. 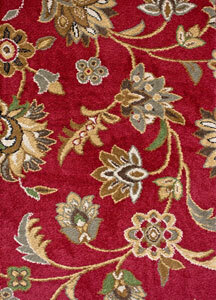 It may be that they do not adequately clean the carpet enough or they may cause damage. Carpet fibres should be protected during the deep cleaning process in order to deep clean and ensure the longevity of the carpet. Application of an incorrect cleaning agent could result in the entire carpet needing to be replaced. It is understandable how some carpet stains may look as if they require a scrubbing action to remove them. This will not only damage the carpet fibres but it may also not remove the stain and instead work it further into the fibres. There are a host of carpet cleaning machines available to hire, however these can often leave residue on the carpet which will speed up re-soiling. If mistakes are made during the carpet cleaning process then it is likely that other machinery or products will need to be purchased. These products are often quite expensive. Purchasing a range of cleaning products can soon add up. Professional carpet cleaning services are competitively priced and will avoid all frustration, confusion and anxiety. We take over the cleaning process and offer assurance of our professionalism at every opportunity. Your carpets will be left hygienically clean and will be left to look at their best for as long as possible. Contact us today if you would like to arrange our carpet cleaning services on 0800 695 1118.